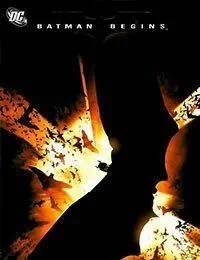 Batman Begins Movie Adaptation is a Batman origin driven story based on the blockbuster movie Batman Begins. It captures significant scenes and events from the movie. Like the movie, this has an edgier story of the origin of the dark knight. In the wake of his parents murder, the industrial heir Bruce Wayne goes around the world seeking the means to fight injustice and turn fear against those who prey on the fearful. He returns to Gotham and unveils his alter ego: Batman, a masked crusader who uses his strength, intellect and an array of high-tech deceptions to fight the sinister forces that threaten Gotham. He learns and believes that to fight his own internal fear, he has to become fear. That is when he conceives the idea of the Bat as his symbol to fight crime.<br />For the details about the movie refer Batman Begins.